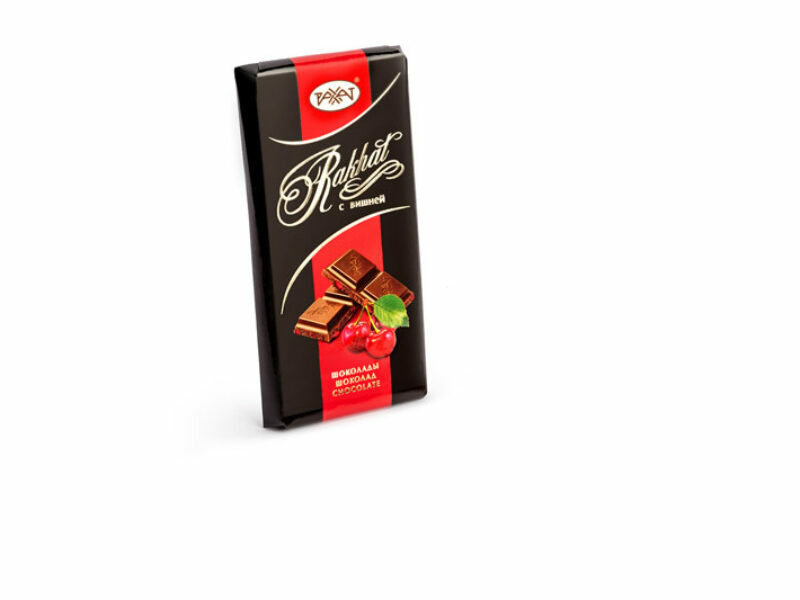 Chocolate made of high-quality cocoa beans by traditional contain technology cacao products is not less than 57%, with adding dried cherry berry. Available wrapped in the form of slab. contain negligible quantity of crushed kernel of almond.